Coming to America at age 12 was one of the hardest things that I have ever had to do. Adjusting to a new language, new family, new culture, and new food were just some of the obstacles I had to overcome when I was adopted. In Russia I used to see my friends being adopted and in a way I was afraid of being adopted because I have family in Russia that I did not want to leave behind. After many months of talking with our orphanage director and a translator, my brother Pasha and I finally said "yes" to being adopted. Then we were afraid that they would not be able to find us a family since we were older children. In September 2001, I remember meeting my parents for the first time at the airport. The minute we saw them we ran through customs, shouting "Mama, Papa!," breaking the rules just to hug them. It was the happiest day of my life because I knew I was going to be part of a family. After we came home that December I did not have a hard time adjusting to my family members, but to the American lifestyle. For example, adjusting to the food was difficult. My parents wanted me to try everything. But in my mind, I knew what I liked and rejected trying something new. To this day I am still picky about what I eat. Another thing I had to adjust to was sleeping alone in my own room. In Russia we shared everything, but when I came home everything I had belonged to me and I did not have to share. Sometimes parents who are adopting think that their child will adjust right away. The truth is that it will take time. It is not going to happen overnight. America is a culture shock and sometimes children will get really shy experiencing new things. The children have left everything that is familiar to come to this "magical" world. I use the term "magical" because that is how America seemed to me before joining my family, but after a few months had passed I realized it was not what I had pictured in my mind previously. Parents have to understand that every child is going to adjust at their own pace. They are going to communicate as much or as little as they like. 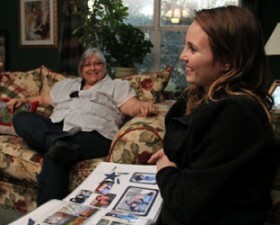 I remember when I first met my whole family at Dallas-Fort Worth International Airport. I was so shy that I just let my brother, Pasha, go shake everyone's hand while I stood right behind him. In those first days home, we communicated with my parents using a Russian/English-English/Russian dictionary. Between my brother and me, we knew about 100 words, which really came in handy when my parents stopped letting the translator come over every week. They wanted us to learn. It was not easy, but between going to school and communicating with my family I picked it up quickly. I accomplished many things after I arrived in America. I started taking piano lessons three weeks after I came home, enrolled in sixth-grade one month after I arrived and learned English within six months. Talk about a big adjustment! I knew I couldn't go back but had to move forward. Right now I am working full time and going to college part time. I am studying to become a Russian-English interpreter. I still have a few years before I graduate, but I am going to love it when I get my degree! My parents wanted me to stay in contact with my brother who is still in Russia and I did for several years. I have not been able to recently which saddens me, but I have no control over it because I do not have his address to send him letters directly. I enjoy connecting with others who are adopted from Russia, especially if they came from the same orphanage I did, because we have a common bond through our experiences. Also we can communicate in our own language; we have our own heritage, and are different from others. I've known a few Russian orphans, who have come to United States, who are ashamed to talk about their past because of where they have been, and they just want to put it behind them. My past made me who I am and being adopted makes me even more special. I have no shame about what has happened to me in the past. I am living proof that I can overcome anything since I have already overcome so much in my life. I've been here more than 10 years now and I couldn't imagine my life being any other way. About the Author: Natasha Potts joined her family in Texas in 2001, when she was 12 years old and her brother, Pasha, was 13, via adoption through the Buckner Adoption and Maternity Services' Russia program. 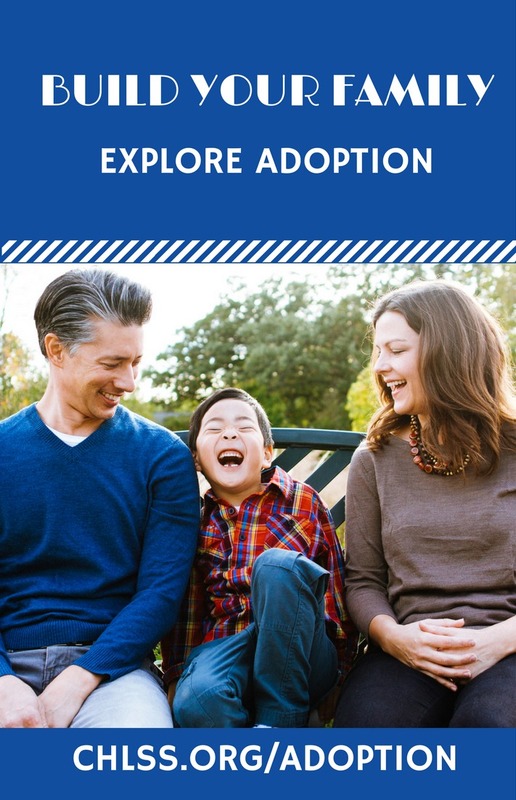 Together Buckner and affiliated Dillon International offer intercountry adoption services in China, Korea, Haiti, India, Hong Kong, Colombia, Ghana, Ethiopia, Russia and Honduras.